Trick or Treat? 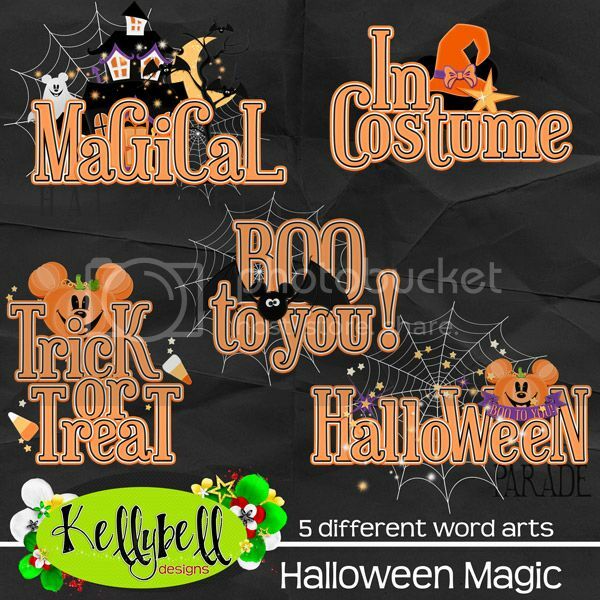 This week Kelly has some adorable Halloween treats coming your way! Her new collection Halloween Magic is perfect for the spooktacular happenings at Walt Disney World and Disneyland. Not able to spend Halloween at Disney? 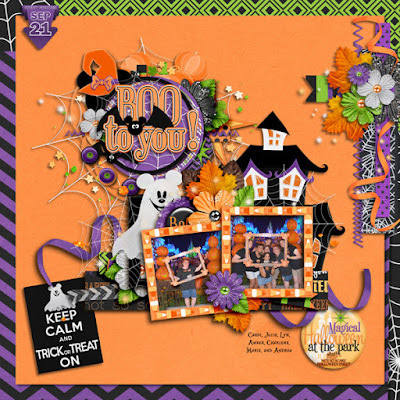 No problem because this kit will do the trick for any Halloween or Pumpkin Patch fun you might be having this fall! Word Art, Page Starters and Journal Cards are the perfect complement for this kit! Inside the kit you will find a variety of patterns and solids in green, orange, black and purple. Unique elements include Mickey ghost, bat and pumpkin, Minnie witch, haunted house, pumpkins, moon, bat, cat, gravestones, fencing, spider web, casket, flair, word strips and much more! A great alpha is also included. Now how about some spooky freebies to coordinate with Halloween Magic? You can find them at Linda P.'s blog, Jessica's blog and here at my blog. Have a great weekend and happy scrapping! Beautiful paperstack, thank you Charlene! Thank you for awesome paper stack!! !